Continuation of Part 4, we get more in depth on neuro-muscular re-education. The way in which the brain learns a new movement pattern is at the very heart of the RotarySwing Tour learning system. 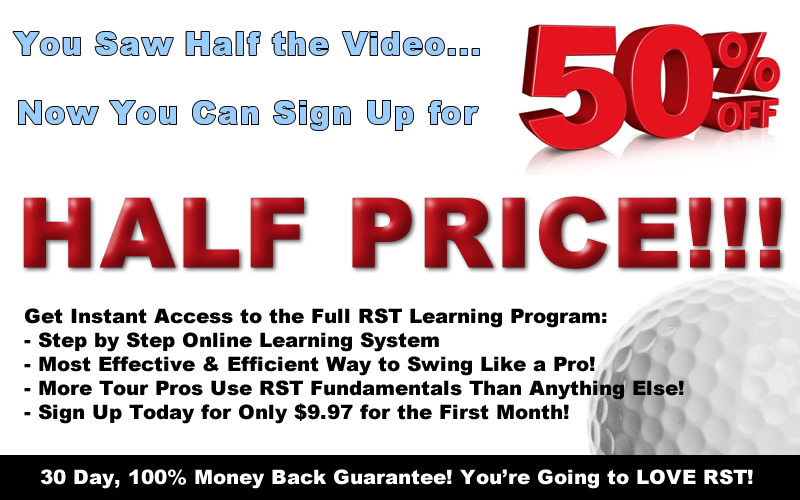 Without our unique and proprietary learning system, RST would just be like all other golf instruction methods – a big bucket of mechanical swing parts that you are left on your own to figure out how to put together. That’s about as useful as the instructions that come with those “some assembly required” office furniture. RST is much more sophisticated than that. The reason that the tens of thousands of members we have improve is that we are the first and ONLY golf instruction system in the world that was built entirely around the science of how the brain learns new movement patterns. You see, there is a very specific progression and learning process that quite literally re-wires the brain to change an existing faulty swing movement into a new, tour caliber movement. And this process is at the very core of the RST learning system. This process of neuro-muscular re-education is the ONLY way that you can make lasting, dramatic swing changes as it’s the only way the brain learns a new movement. If you’re not using the RST learning method, you’re quite literally wasting your time and hard earned money on lessons that simply can’t produce real results like these…. As you can see, our online and in person learning system produces amazing results unlike anything you’ve ever seen. We don’t just put up empty testimonials of golfers simply saying they’re hitting the ball better. No, we actually SHOW YOU THE PROOF in real, high speed video. How many other instructors show you visible proof that their students improve like the ones you just saw, or do they just put up empty testimonials with no supporting evidence? And how many can do it in such a short period of time? Does my instructor know what neuro-muscular re-education is? Does my instructor understand human anatomy as it pertains to the golf swing? Can my instructor show me examples of the changes his students have made? If he can answer those questions to your satisfaction, well, then he’s probably a Certified RST Instructor! Let me walk you through a typical RST learning sequence that will illustrate the power of neuro-muscular re-education. We’ll use the backswing sequence that I used with my student from the video earlier. I want you to experience this for yourself, so stand up out of your chair and follow along. If you have a mirror handy, that will really help you see how good your backswing is about to look! As the old commercial saying goes, I’m not only the president, I’m also a client! Having an instructor that can relate to the exact same struggles you’ve gone through is very comforting. I’ve been there. I’ve taken golf lessons, not improved and practiced for hours a day only to see minimal or no results. That is, until RST. Now, the proof is in the pudding. If you want to go from swinging like this, to swinging like this, simply click the link below and get started making huge improvements in your swing right now! Get Your Free Membership to Finish Watching "How the Brain Learns New Movement Patterns - Part 5" Right Now!